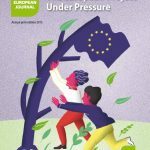 Green European Journal: Do you think policymakers have done enough to protect our economy from a relapse? Philippe Lamberts: The answer is no. We have extinguished the fire of the financial crisis with a tsunami of liquidity. That’s basically how it was done in the U.S., in the UK and in Europe. But when you make money cheap, you shouldn’t be surprised that it will be used badly. Something that is cheap can easily be squandered. Now we are witnessing that the money is not going in the real economy, but instead is fueling asset-price bubbles. And as we know, bubbles are meant to burst. We have an inherent fragility now in our system. We didn’t dare take the measures that would really establish watertight compartments in the financial system. Our institutions are still too weak, and we still have an interconnected financial system, which means that an incident in one compartment of the ship will sink the whole ship. I think the situation is still very fragile. Of course as long as the interest rates are almost zero no one notices, but once they go up they can lead to explosions. The same applies to the case of the Grexit, once it happens it can cause an explosion as well. Therefore, we are not safe and policymakers did not dare to do enough to put our societies on a safe ground. That’s for the financial aspect, the other aspect is the monetary union. There it still seems like the policymakers have a hard time recognising the key element: no monetary union is possible without financial transfers between the different parts of the monetary union, from those that are richer to those that are less rich. That’s a fact of a monetary union. Look at Germany: they have a monetary union there and they had that for centuries, and today you have three regions contributing more than what they receive from the bund, and 13 regions that contribute less than what they receive from the bund. That means you have transfers within Germany. And similarly we have transfers within Belgium, and nevertheless we act as if transfers in Europe would make no sense. But I am saying there is no monetary union without a transfer union. You need vehicles for rebalancing. You either need a fiscal channel (a central budget funded by central taxation) or common social security. The leadership in Europe still refuses to see this reality, and therefore it does not answer the basic contradiction of having a monetary union that is neither a fiscal union nor a social union, and certainly not a democratic union, because you cannot have these kinds of transfers without democratic accountability. And these are the kinds of answers that are delayed these days, because politicians think that voters are not interested in these issues. But at some point we need to decide whether we want to be together in this union or not. So either we backtrack and there is no monetary union and we get back to national currencies, and national democracies, or we decide to go with the monetary union and we decide to move towards the federal system. The status quo will kill the Euro. A rules-based system won’t keep it together. The third failure for me is the inability to recognise the inadequacy of the basic ideology, the basic software that has determined policymaking across Europe since the beginning of the 80s in the UK, and across Europe in the 90s. This policy mix of deregulations, and the idea that the state is a poor allocator of resources while the market is a good allocator of resources, and that we have to shrink the state and to shrink the added value that goes to remunerate work: that is the balance of distribution between capital and work. Direct and indirect wages (meaning social security) are being squeezed. This is the policy mix that has been applied in Europe in the last decades. This has led to the financial crisis, and yet no substantial change has been made in this policies. This acknowledgement would be a minimum but this is not happening. And thus, what we witness is increased inequality. We indeed are making the rich richer but it doesn’t mean that everyone benefits. Not at all. Very much so. We had the vote on the last component of the Barnier action plan to regulate finance and that was the banking structure reform file. Basically it stemmed from the idea of splitting investment banks from retail banks; a very basic idea. It was already watered down by the commission itself in its legislative proposal. It was no longer a mandatory separation – it was a discretionary one for a very targeted set of banks. Even that was deemed too much by the financial ministry, and they almost got their way, because they got a rapporteur who basically gutted the text of Barnier of its teeth so that it no longer had any impact. Ultimately there was no majority for this. But the point is, the big banks do not want this reform, and basically they are winning. You can see the French socialists standing up and fighting for their, “national champions” because what’s good for BNP Paribas, they believe, is good for France. It’s quite obvious that the financial sector is calling the shots. If we hear the French president (who called himself the enemy of finance in the campaign), the bosses of these banks, and the trade unions all using the same words, then it’s quite obvious who’s calling the shots. Prior to the crisis of 2008 the regulators failed miserably. Why do you think they would do better than the market? The regulators did a bad job out of their own will. They trusted banks to self-regulate. I hope that by now it’s obvious that markets are not self-regulating. It’s not to say that governments know everything, but that’s why we have argued for simpler regulations. The more complex a regulation, the harder it is to enforce it. In order to counterbalance that regulators were too close to banks they were supervising, we decreed that 130 systemic banks in the eurozone would be supervised by the ECB. It is more or less equivalent to saying that instead of the law being enforced by the local police it becomes the federal police. And it is maybe somewhat harder to find an amicable agreement with the federal police than the local police, but how long would it take for the same kind of cosiness to reappear at the federal level? This is why you should not give too much discretionary powers to the supervisors, because they might get captured by those they supervise. Many of the regulators or policymakers used to be bankers themselves. Isn’t it hard for them to distance themselves from this sector? Yes, that’s why you need to put in law the most important things, if you make sure that the law says what can be done and what can’t. I still think that financial law is too complex. The law needs to be understandable otherwise there is no chance it will be applied properly; it will always be interpreted in favour of things that should not happen. What would be your assessment of the Greens in the European Parliament during these crisis-ridden years? I think there is on the one hand the aspect of the previous term (2009-2014), where I believe at least from the economic and financial topics, we have built up credibility in the sense that we know what we are talking about, that we are hard workers, that we are able to strike compromises, when necessary. That is capital that we were able to build up in the previous term. How good is this capital today? There is a new situation in the European Parliament today, there is a much clearer line between the majority and the opposition, which was less the case last time, to a large extent because of the presence of the Eurosceptic parties, that has drawn the two big parties together in a grand coalition, also including liberals and to some extent the ECR. We see that block cementing itself more and more, and we are not part of that block. This means that even though we have built up influence, that influence cannot be used today. Since we are Greens they don’t want to deal with us. We just voted, for example, on revising legislative measures like the six-pack and the two-pack in the European Parliament. When negotiating the six pack and the two pack, we were quite successful, but every amendment that came from the Greens was refused as a matter of principle by the EPP shadow rapporteur. For the European People’s Party (EPP) whatever comes from the Greens is considered bad. There is not even room for debate. We still need to figure out what this means for our actions, because we will not be able this time to achieve the number of victories that we achieved in the previous mandate. This election was not a major success for us, we are somewhat smaller than we used to be, now we are only the sixth largest group in the Parliament instead of being the fourth, as we used to be, and because of the grand coalition we have less influence on the state of play. So that leads us to prioritise our external campaigning actions over the internal law-making actions. You still have to do both, because you cannot be credible on the outside if you’re not working well on the inside, but you have to find the right balance, and now that means spending more energy on campaigning and speaking with members of society in order to build up credibility, so that next time, in 2019, the Greens can be really reinforced when entering the European Parliament. The balance was more geared towards legislation last time, it should be more geared toward campaigning this time. We do not see ourselves as the avant-garde of society instructing people what to do, I would rather see ourselves as midwives helping society find ways to change. We must be catalysts of change, not teachers who instruct people. Can the radical left be an ally to the Greens? Last year you said the far-left agrees with the Green analysis on many issues, nevertheless their members don’t participate in the fight to improve EU legislation. Has this changed since the rise of Syriza and Podemos? It depends. They are potential allies, but there are major differences. I’ve seen some Greens saying we should emulate what Syriza and Podemos have done. I would put it differently. Both in Greece and in Spain there has been a massive failure of the traditional political parties, Christian conservatives and social democrats, and I hate the fact that it was not the Greens who were able to seize the initiative and to become the party that addresses the frustrations of the citizens with traditional parties. In Spain it’s Ciudadanos and Podemos, but not the Greens. In Greece it’s Syriza, but not the Greens. This is a failure of ours. In order to be successful, do we need to emulate what Syriza and Podemos have done? I would be careful with that. Indeed, the radical left is working more now in the European Parliament, but the people who are working most on economic and financial issues in the Parliament are not their MEPs; it’s people like Fabio De Masi from Die Linke, Marisa Matias form the Portuguese Left Bloc. Syriza and Podemos are in the parliament only to be the voice of the indignados, not to legislate. I think that the radical left is a challenge to us and also has a lesson for us, by virtue of their success. . What makes the greens unique is the combination of radicalism and realism, because we are aiming at a fundamental transformation of society, but we are not aiming at an instant transformation. We know that, even though the transformation has to be fundamental, it will only happen step by step therefore we need to show that we understand the ways it is happening. And understanding change means that we also need to understand that there isn’t one enlightened avant-garde of society, and that is the party that instructs societies what to do. It’s rather us, as a political party, expressing maybe better than others the challenges of this century, indicating a direction and being able to stimulate the forces in society that will provide the innovation. We do not see ourselves as the avant-garde of society instructing people what to do, I would rather see ourselves as midwives helping society find ways to change. We must be catalysts of change, not teachers who instruct people. The second major difference is in the role of the state vs. market. The instinctive reaction of the radical left is to pass on the problems to the state. Let’s take again the problem of the financial system: typically they would say, as they did in the campaign, let’s nationalise the financial industry, like Mitterrand did in 1981. He nationalised all the banks in France. We say no, if we want a resilient financial system, we need diversity. Banks that are publicly traded companies on the market, state-run banks, cooperative banks, so different forms of ownership. We believe that resilience comes from diversity, and of course we don’t say one size fits all and we want all banks to be nationalised. Also, well-regulated markets are fine for us, but they are not for the European United Left–Nordic Green Left (GUE/NGL). The third big difference, which doesn’t apply to all radical left parties, but definitely does to Syriza and Podemos, is that the environmental challenge is something they ignore. Or they say, it’s important, but first we need to achieve growth and redistribution, and then we can tackle climate change and resource scarcity. We, on the other hand, say that high inequalities and the ecological crisis are two time bombs that are tied together and can both explode in our faces. So these are major differences, but this should not prevent us from forming alliances on issues like the tax justice, on making sure we find a solution to the Greek crisis. There are a number of battles in which we are allies, but even then the two parties together in the European Parliament don’t have much more than 100 seats. If you add to that the Italian 5 Star Movement, which is somewhere between the radical left and the Greens, you end up with 119 seats. That’s far from being a majority. We have to look beyond that in order to build alternative alliances to the orthodoxy that is currently killing Europe.